Looking for an ongoing People KPI for employee morale? Looking for a People KPI for employee engagement? 1. Employees press the Green or the Red button every day. After they’ve pressed, lights show the results from the whole team. 2. 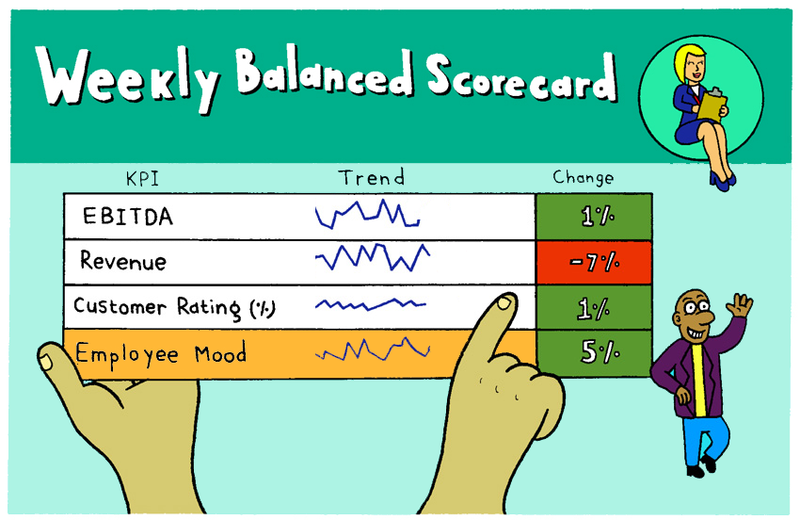 The daily, weekly and monthly results are analyzed on the dashboard in terms of a Employee Engagement KPI. 3. 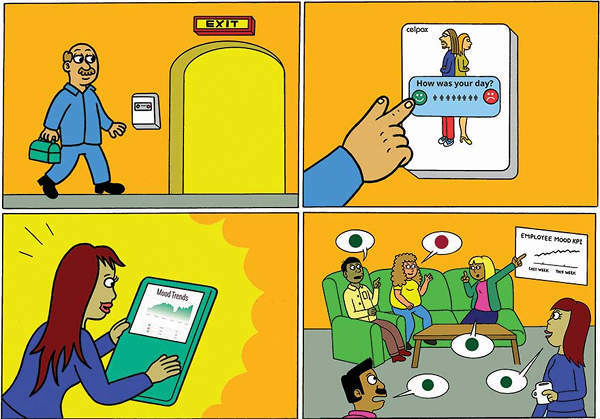 Talk about what makes coworkers press green, and take action to improve what makes employees press red. The baseline KPI will show if your efforts are working. You should get more green! 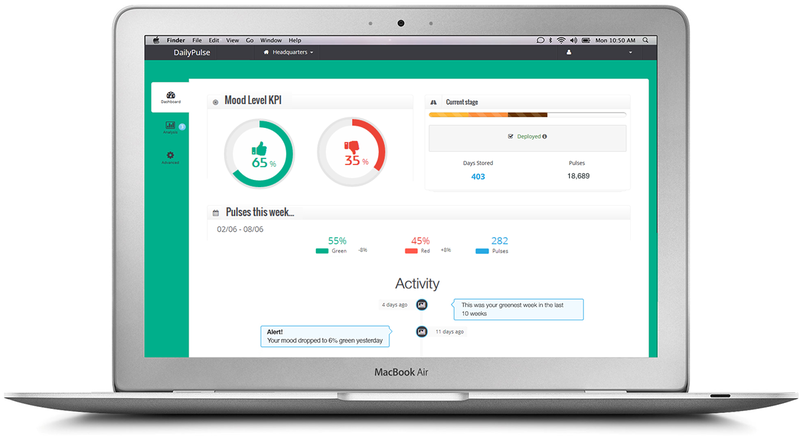 With our simple way to measure employee engagement, front line managers get a regular pulse on employee engagement. The benefit for managers is that you get a simple tool to see how your efforts impact your people. Data to guide you! As a leader, you can easily check online if your company is on the right track, compare offices and shifts, and take action when needed. The benefit for HR is that they get a tool they can give to activate their managers, and bring employee engagement to where it belongs: A great workplace is everyone’s job. It’s an ongoing People development KPI for management discussions. When analyzing our data we realized something interesting. The companies that improve their team’s morale the fastest is where conversations happen. So we copied what they do into the recipe of Measure, Talk, Improve, repeat! Tiny initiatives can have a big impact. You wouldn’t believe what an extra air conditioner can do for the team morale. Or how a Waffle Friday during a crazy week shows you care and boosts morale. You can easily test new things to see what impact it has on your Employee Engagement KPI as you introduce them. Take actions regularly. Action not only needs to happen. You need to engage fairly regularly with your team. Just discussing the People KPI results goes a long way! Understand how your actions and communications impact your employees. Measure. Talk. Improve. Repeat. Agile workplace improvements made easy. A simple way for front line managers to get metrics. Measure what really matters. Continuously. Like what we do? Help us spread the word!